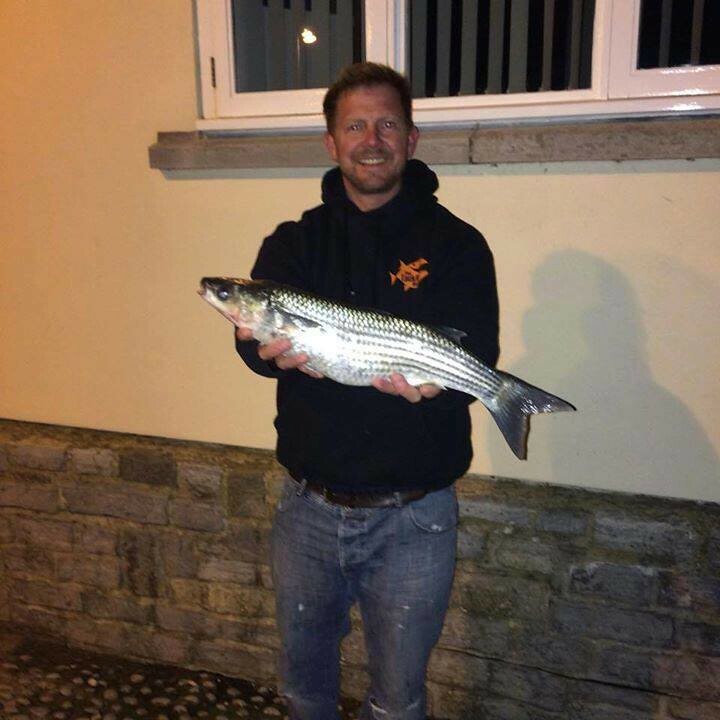 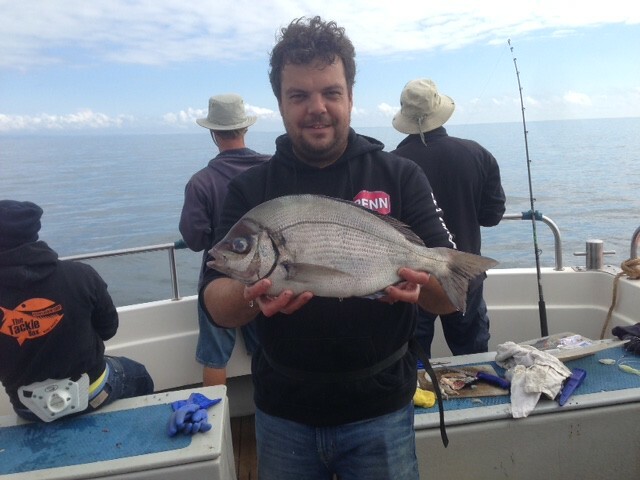 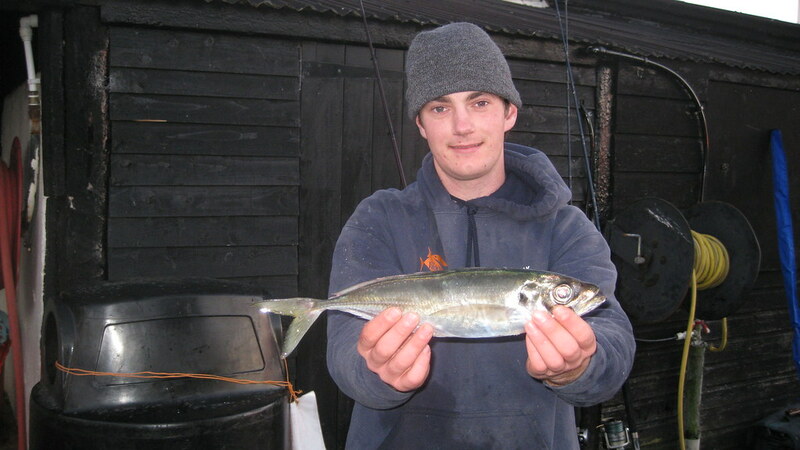 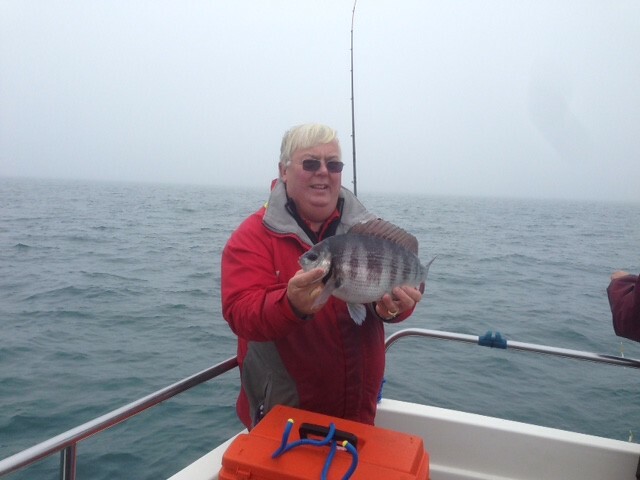 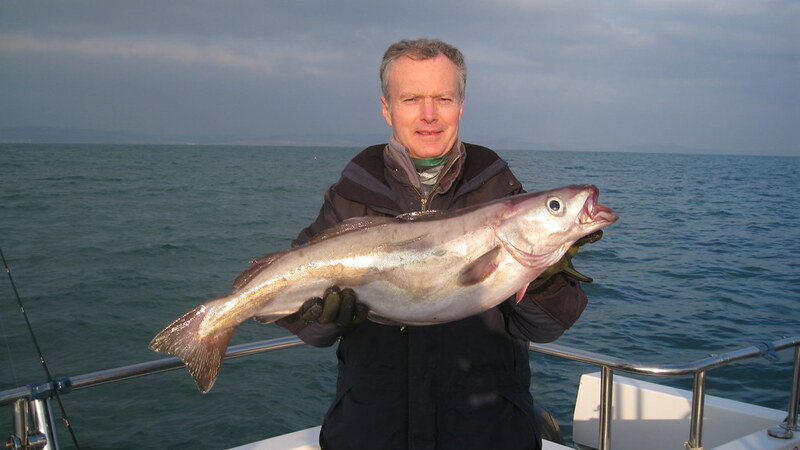 Phil Marshall went fishing with a friend out of Weymouth. 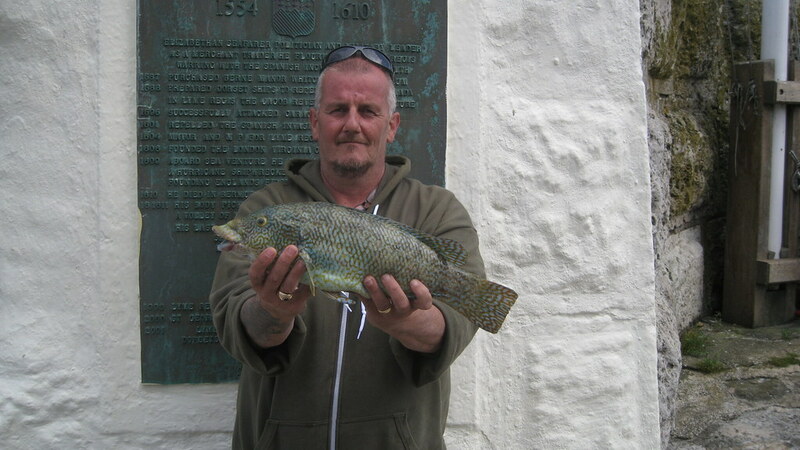 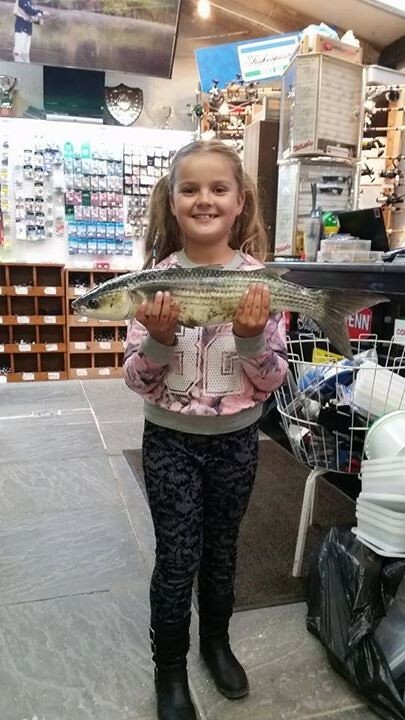 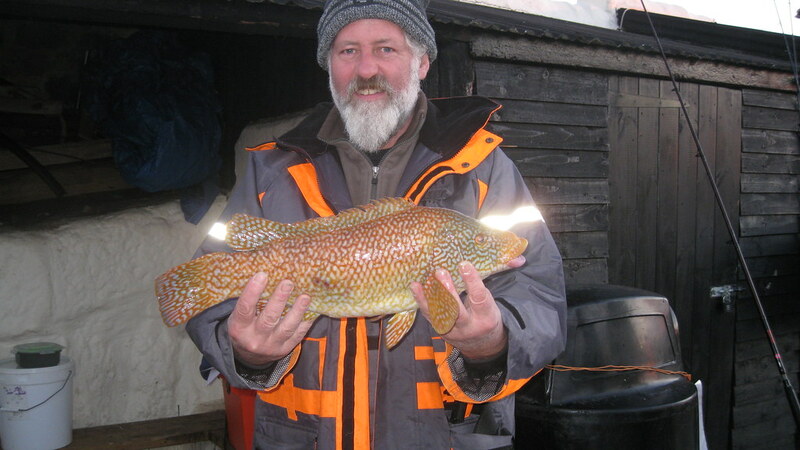 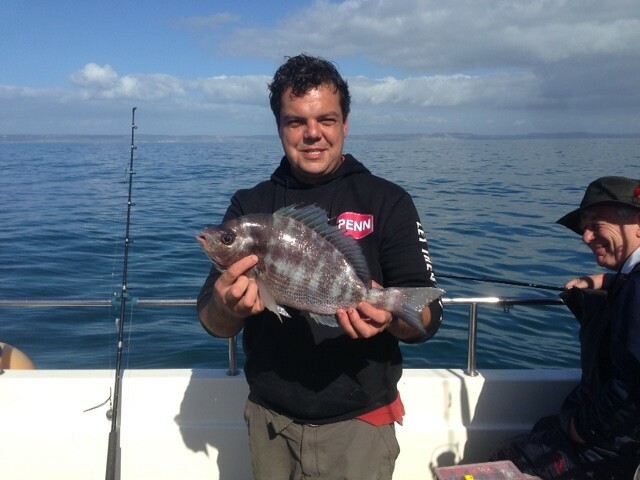 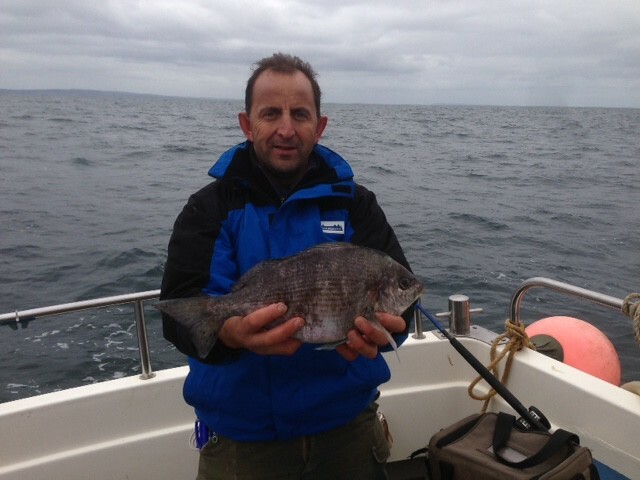 Off Portland he caught this new record boat (out of area) Ballan Wrasse which tipped the scales at just over 7lbs. 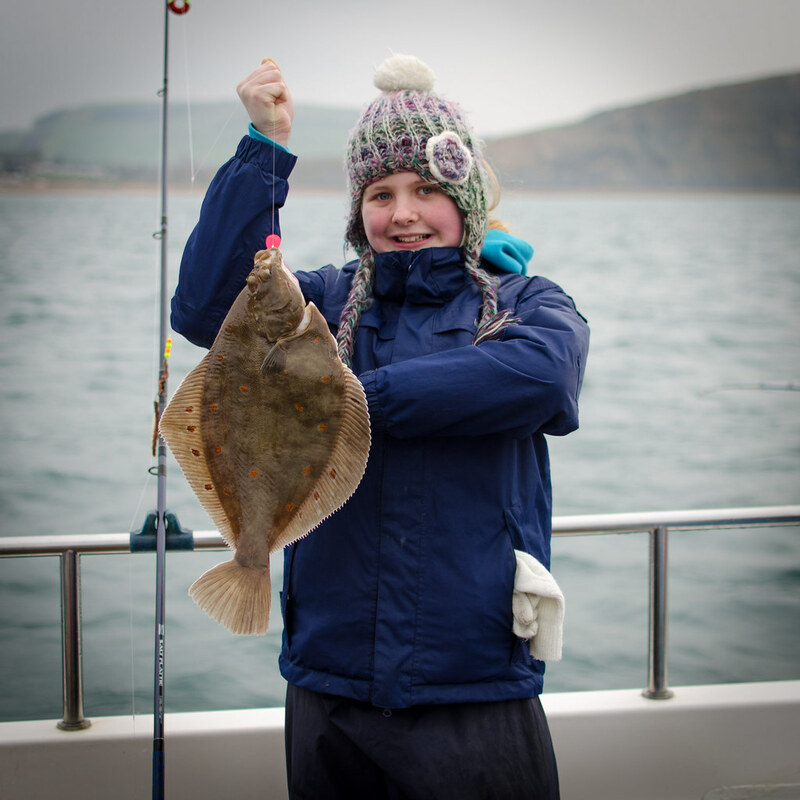 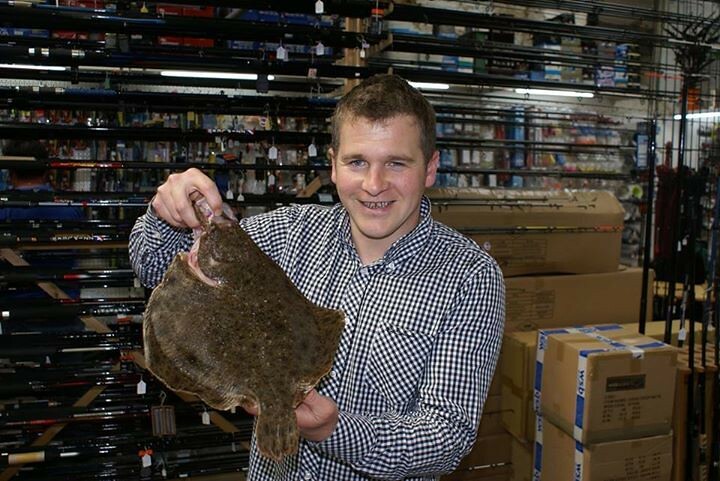 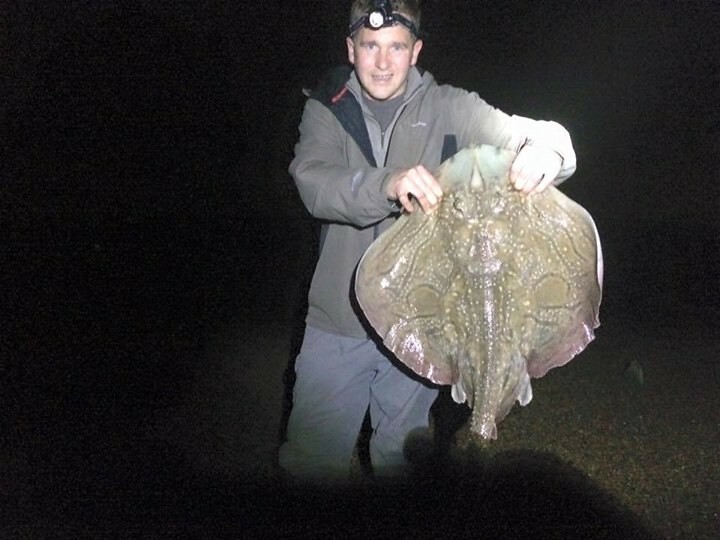 Lewis Hodder with his 960 gms Plaice caught on Alice Rose during the West Bay Open. 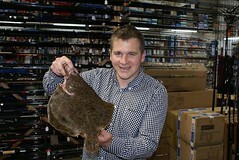 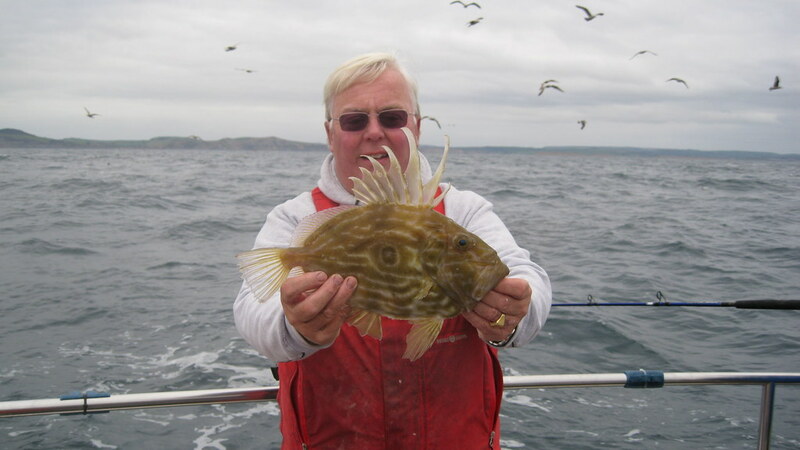 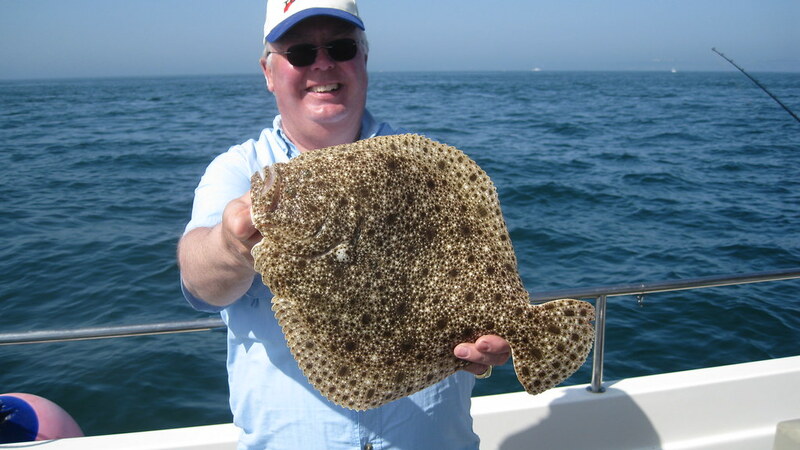 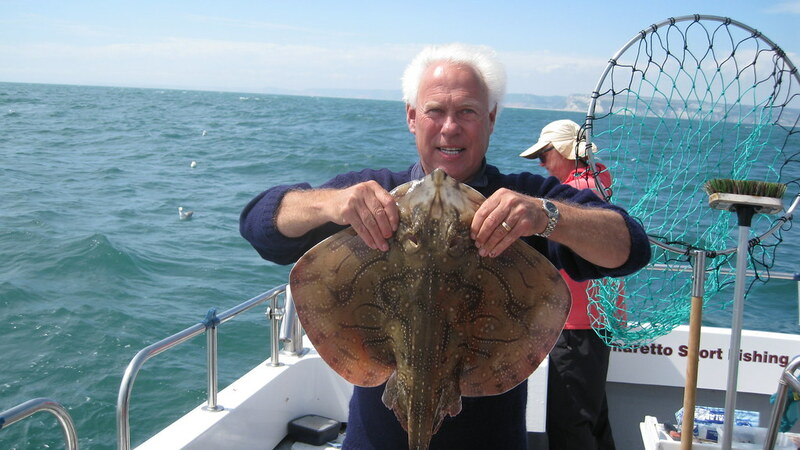 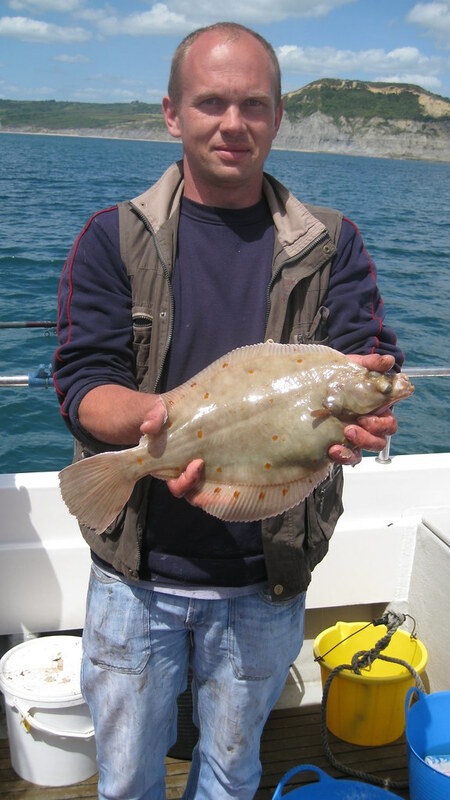 Picture of Paul Blake with the first LRSAC shore caught Turbot at Seatown. The fish took a Squid/ Bluey cocktail and weighed in at 2lb 13ozs. 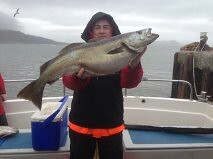 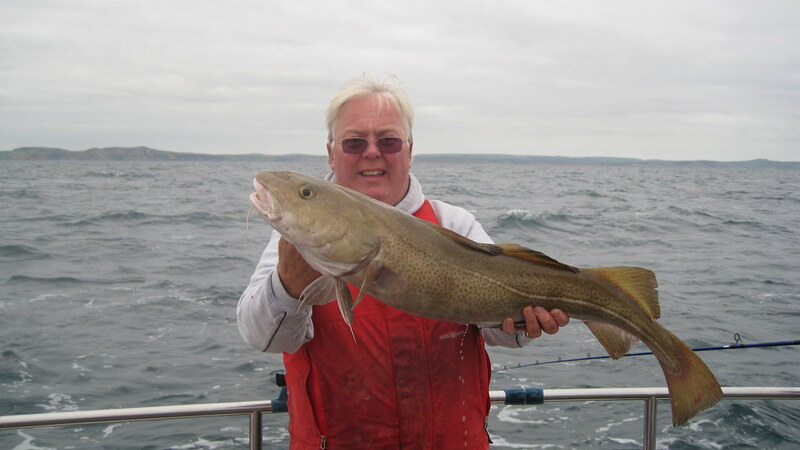 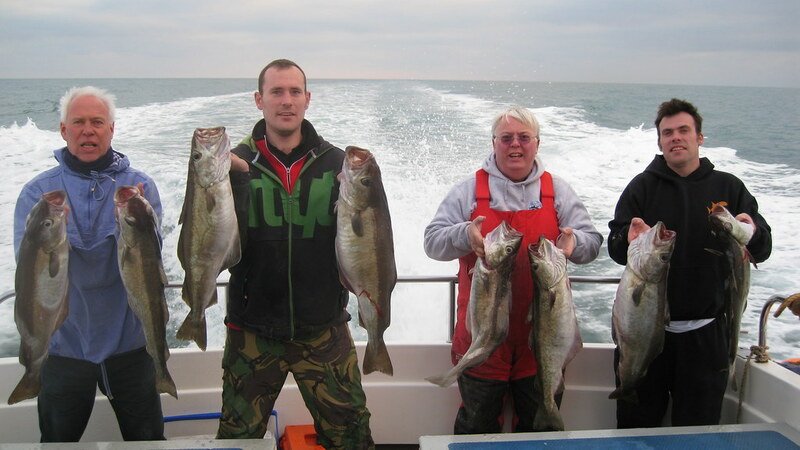 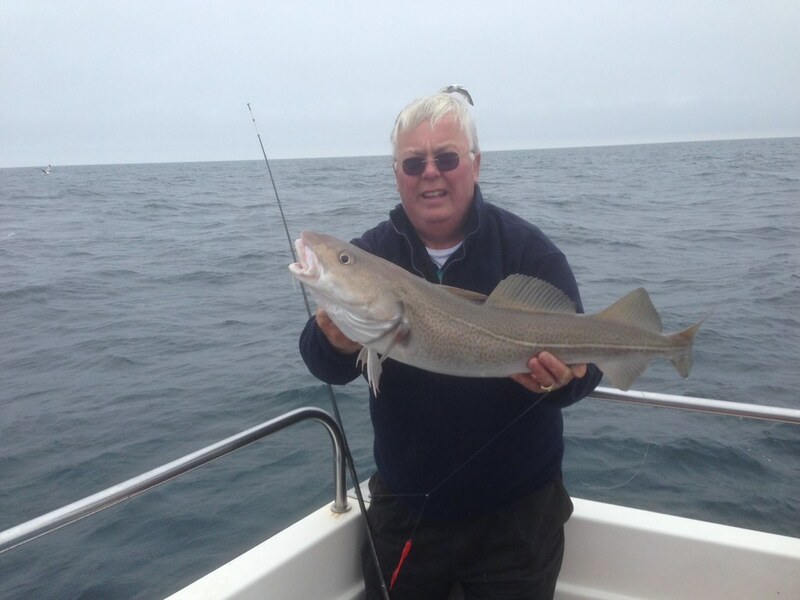 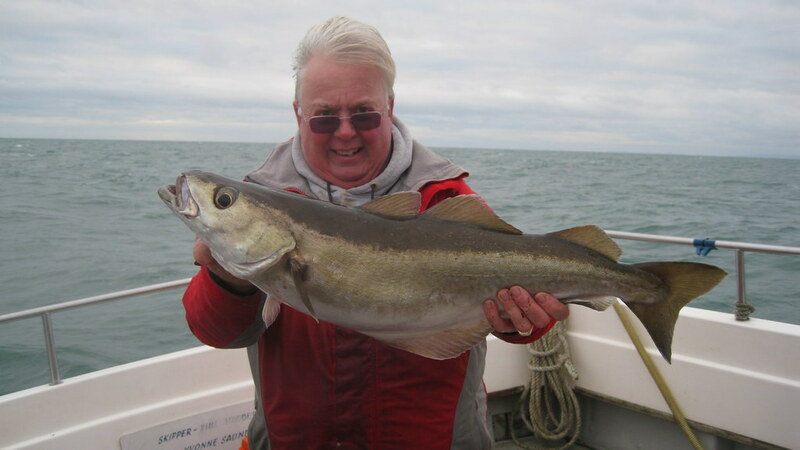 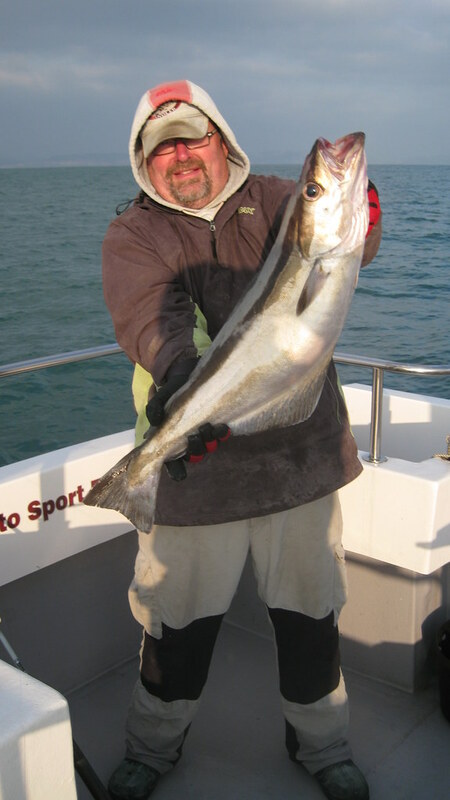 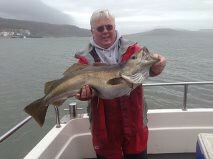 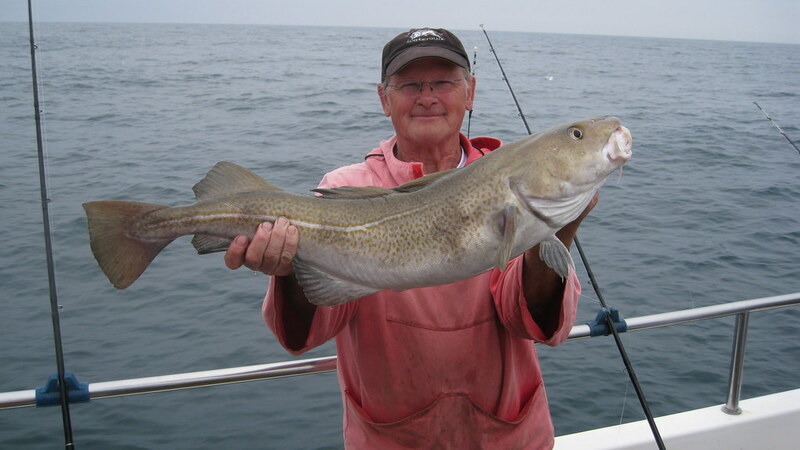 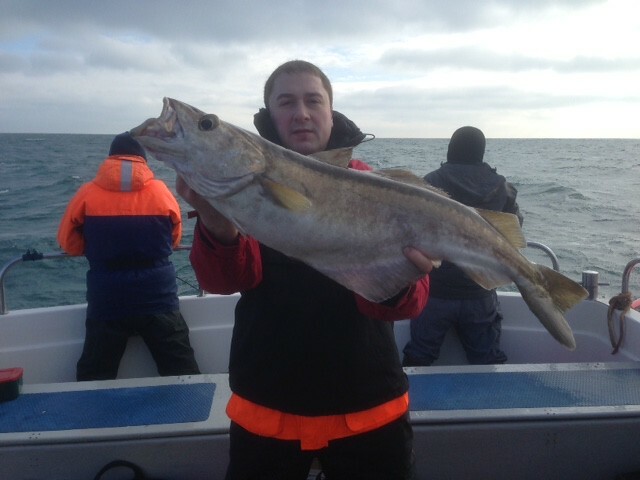 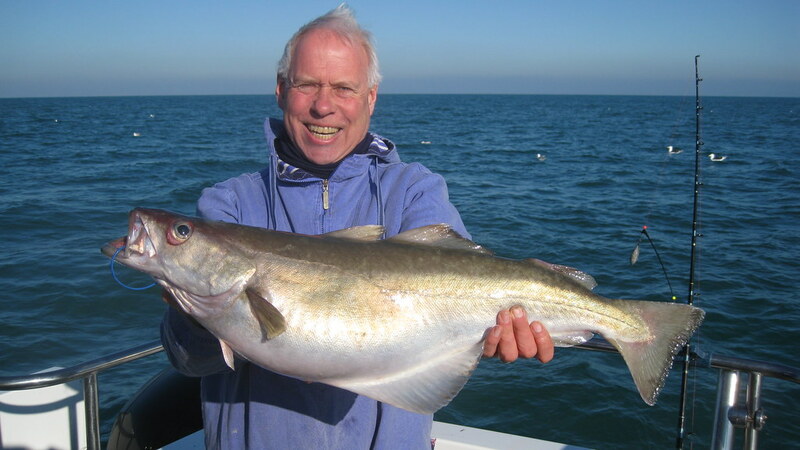 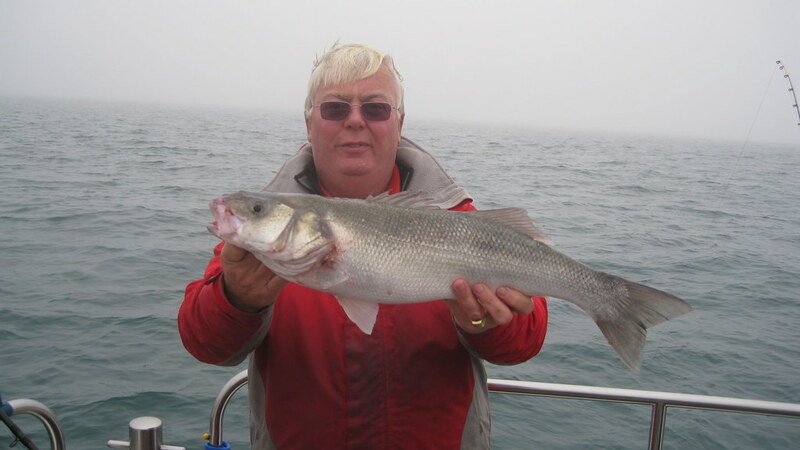 Roy Shipway pictured with another nice 8lb Cod caught wreck fishing on Alice Rose. 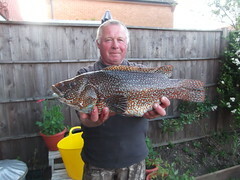 Picture of Rupert Dugdale with his lovely 14lb 8oz Pollack caught on Amaretto IV late May. 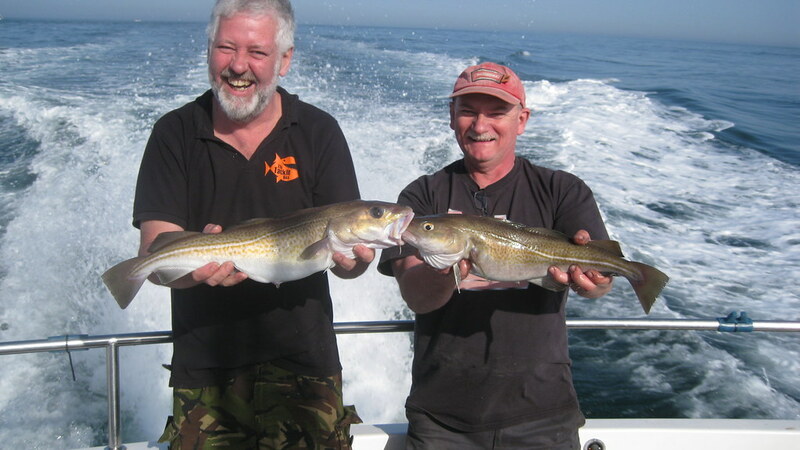 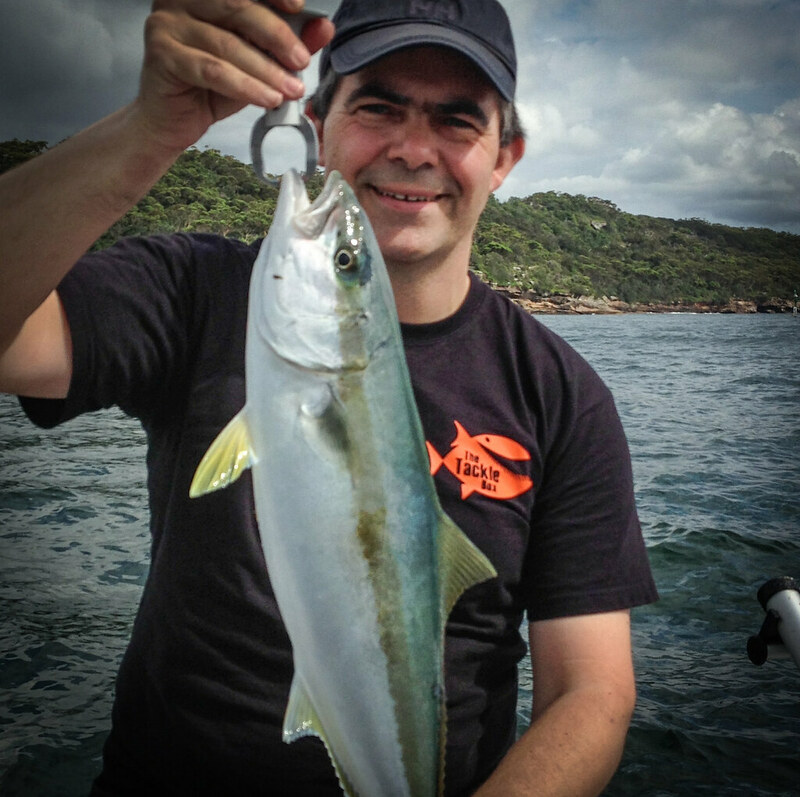 The fish took a 6 inch wide Sidewinder and as well as catching another double, Rupert also caught Cod and Bass on the same wreck. 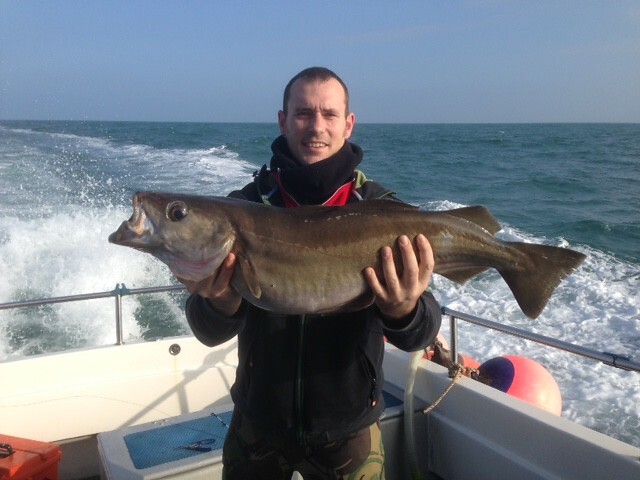 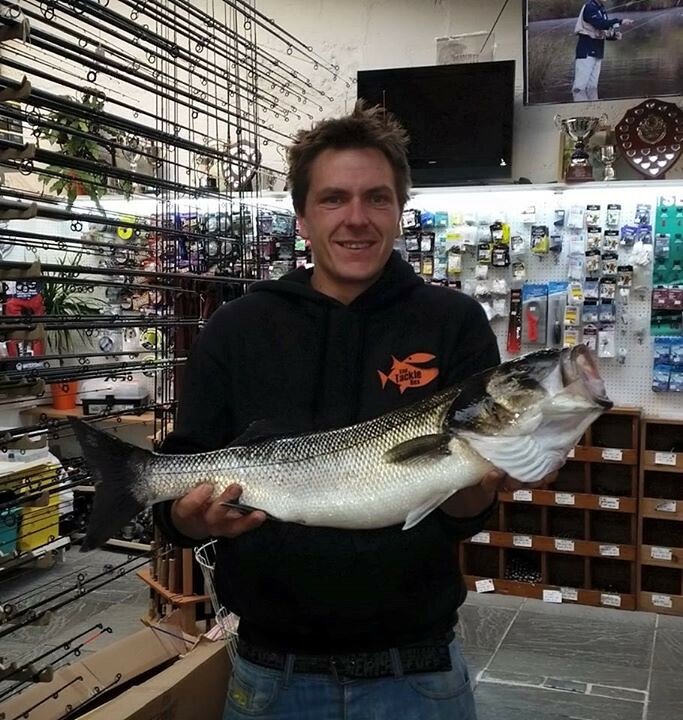 In the first round of the "Turbot Tenner" held in Weymouth both Andy and Brian caught 5lb Cod whilst fishing for Turbot. 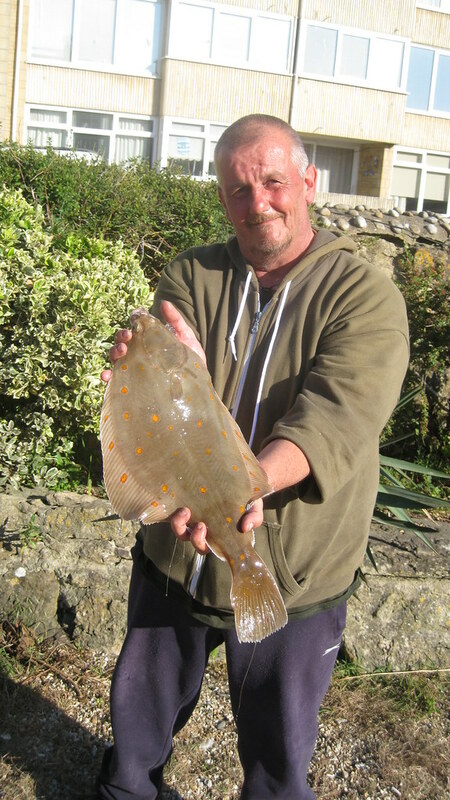 Roy Shipway with his 4lb Turbot caught on a launce "flapper" whilst fishing the "Turbot Tenner" at Weymouth. 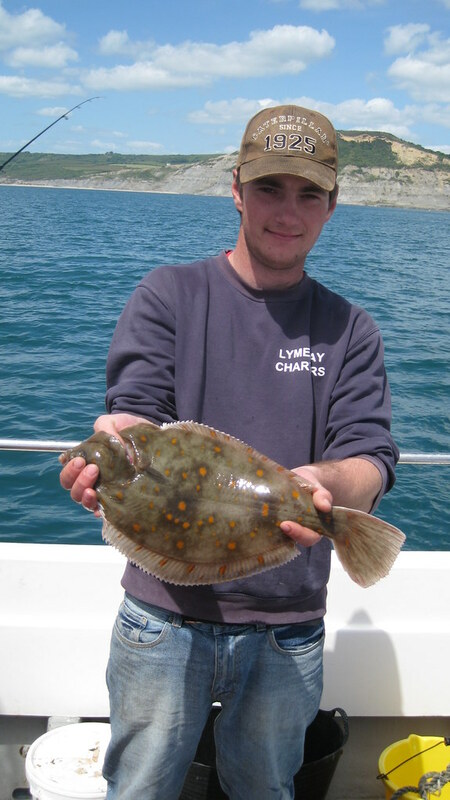 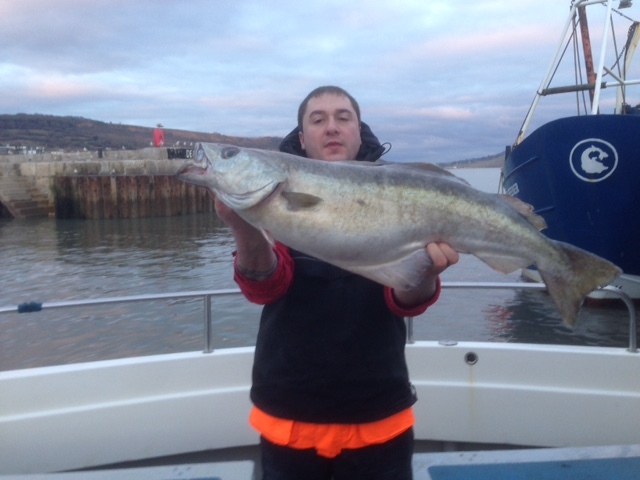 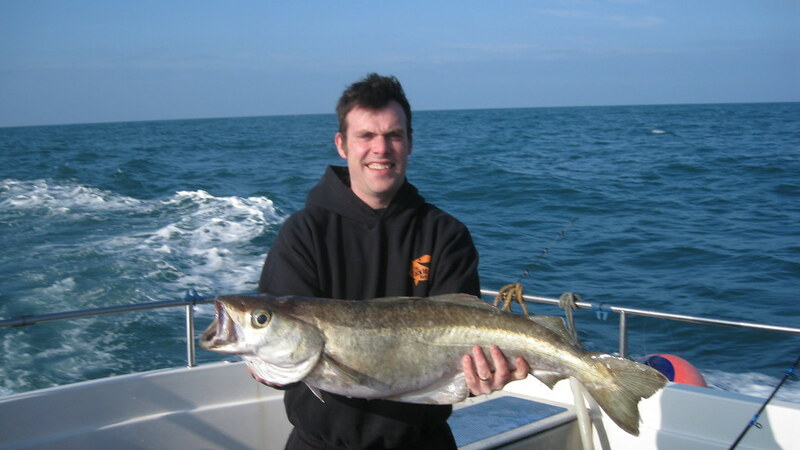 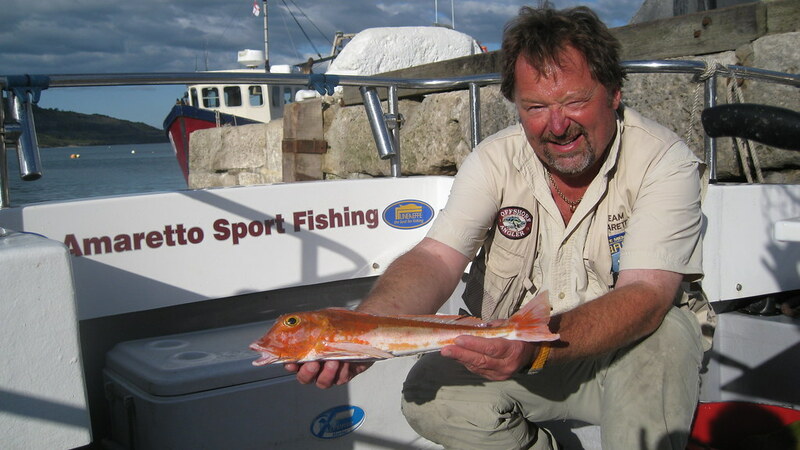 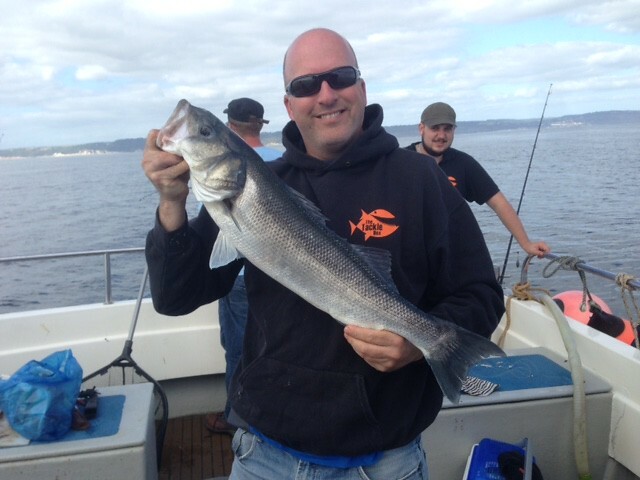 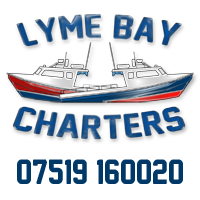 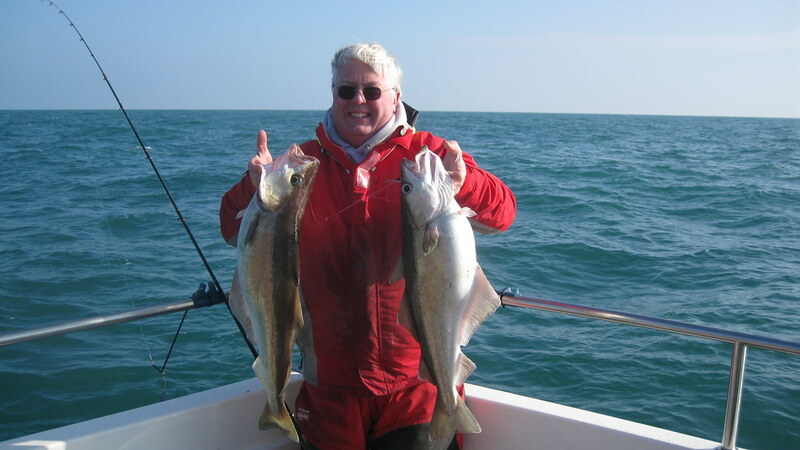 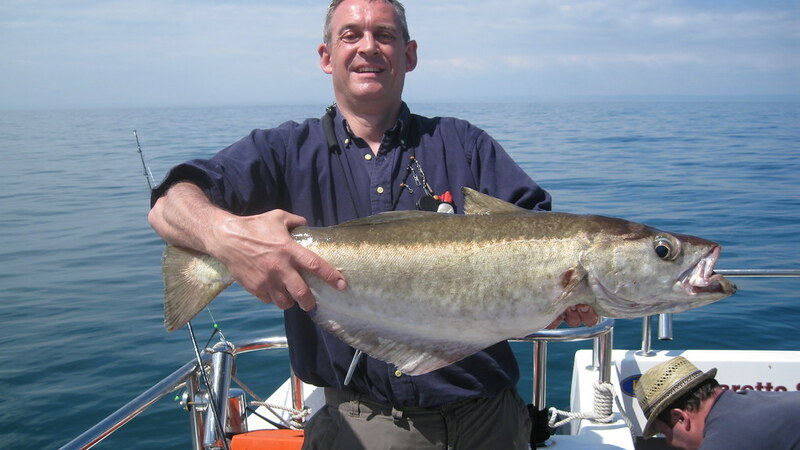 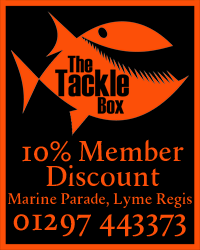 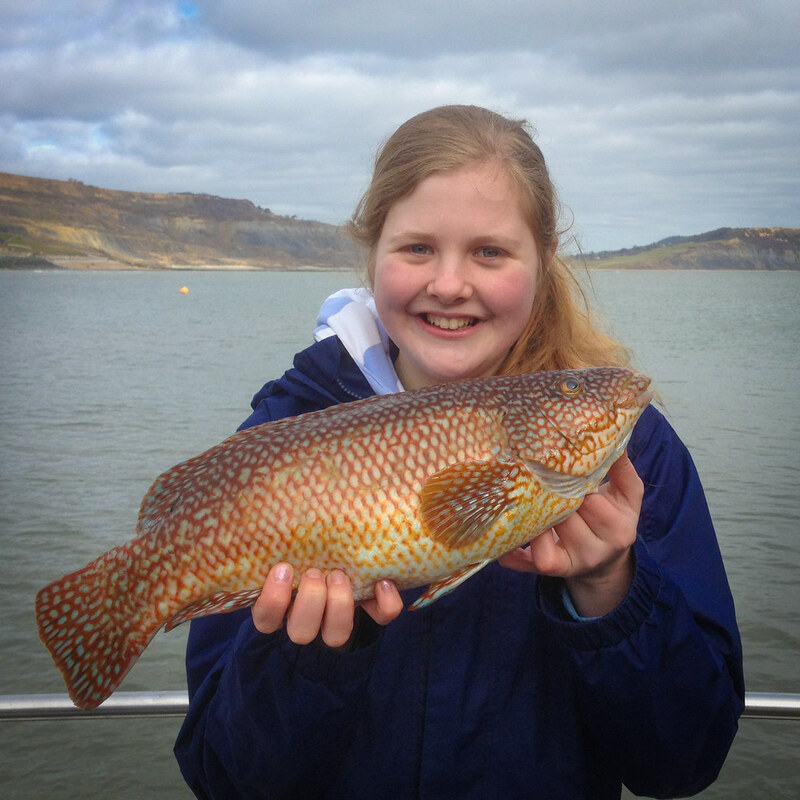 Caught with Lewis Hodder on Alice Rose (Lyme Bay Charters). 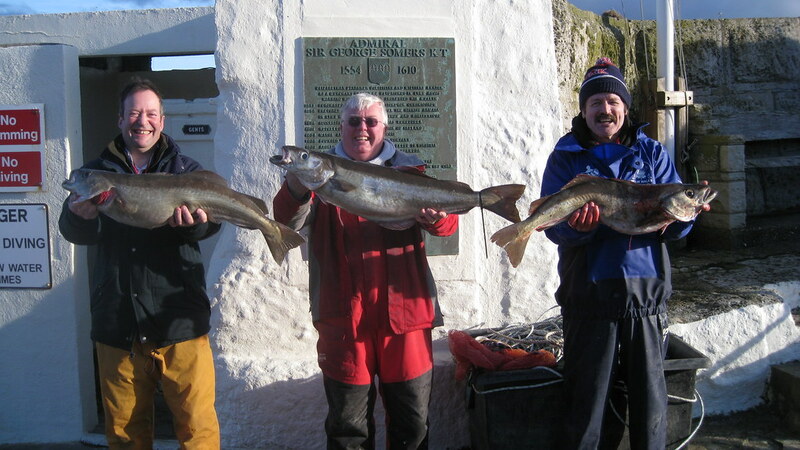 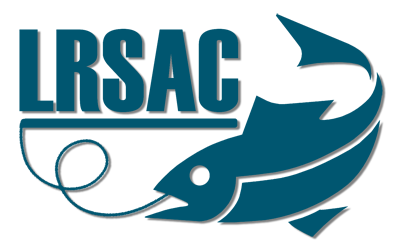 In first place with a season's best Pollack of 15lbs 1oz was Roy Shipway, 2nd place was Brian Moss with 13lbs 12 ozs and third, Richard Dugdale with 13lbs 3 ozs.